Since the summoning and apperance of Ragi Darshan Singh at Akal Takhat on December 5, 2009 the institution of the Akal Takhat and the role of its Jathedar became subject of controversy once again. A similiar situation divided the community when Jathedar Joginder Singh Vedanti was forced to resign from his position as Jathedar of Akal Takhat on August 5, 2008. Some of us judge the institution and its Jathedar according to the treatment and handling of the immediate issue. We rush to declare it useless and some go to the extent of saying that the office of the Akal Takhat never existed before 1920. We forget the history of its evolution to the present state and the imoprtant role many Akal Takhat Jathedars played in Sikh History before 1984. The instituition of Akal Takhat was started by Guru Hargobind as a political wing of Sikh religion to defend his followers from the tyranny of the rulers of the time. Since its inception in 1608, it has a gloroius history and its Jathedar has guided the Sikhs during very crititical times in the past. The position of the Jathedar has evolved since the first quarter of the 17th century when Bhai Gurdas was appointed as the first custodian of Akal Takhat, called Akal Bunga at that time. Guru Hrgobind used this to take political decisions, issue Hukmanamas and and invite his followers to come to the place with arms and horses.The first Hukamnama was issued by the Guru on June 30, 1606.(1). But, Guru Hargobind had to leave the place in 1734 due to the hostilities of the Mughal rulers and it came in the possession of the Minas, descendants of Prithvi Chand. However in 1721, Bhai Mani Singh took Harmandir Sahib and Akal Takhat under his control at the behest of Mata Sundri. 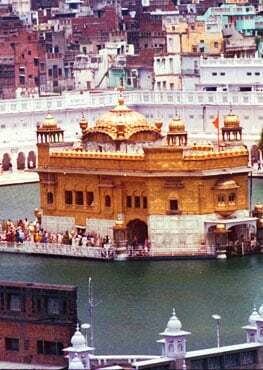 During the misl period, Sarbat Khalsa used to meet at Akal Takhat twice in a year on Baisakhi and Diwali days. Historic decisions were taken and strategy was discussed to fight against the Mughal forces and invadors from North-West. Nawab Kapur Singh, Jassa Singh Ahluwalia and later Akali Phula Singh were the custodians of Akal Takhat and guided the panth in the critical times. According to H S Dilgeer, "In April 1759, a Hukamnama was issued in the name of the Sarbat Khalsa, to all Sikhs to make generous offering for the rebuilding of Darbar Sahib. The seal of Akal Takht was used on these Hukamnama." (2) By 1799 Ranjit Singh had captured Lahore, yet he was not completely free from the influence of Akal Takhat. In 1800, Akali Phula Singh took charge of Akal Takhat and put an end to all anti Sikh rituals and practices. He even summoned the powerful Maharaja at Akal Takhat for having an affair with Moran, a Muslim nautch girl. (3). Ranjit Singh was again punished by Akal Takhat Jathedar when he donated a beautuful canopy to Akal Takhat after using it for some time. In 1805, when Jaswant Rao Holkar, Maratha chief of Indore , came to Punjab to get Ranjit Singh's support against the British, the Sikh Maharaja summoned a meeting of Sarbat Khalsa at AkalTakhat to decide the issue. This was perhaps the last time when he sought the advice of Sarbat Khalsa. After that he started making his own decisions after consulting his Sikh, Hindu and Muslim ministers and advisors. We don't find much activity at Akal Takhat till British took over Punjab. Under British rule, the Akal Takhat Jathedar or custodian gradually started asserting his authority. To start with Sanatani Sikhs who believed Sikhism as part of Hinduism were in control of Darbar Sahib. They, however, came in clash with radical reformers of Lahore Singh Sabha who were determined to free Sikhism from Hindu influnce. Since the Sanatani Sikhs had control of Akal Takhat, they issued a Hukamnama on 14 March, 1887 excommunicating Prof. Gurmukh Singh, Secretary of Lahore Singh Sabha. Though it was issued by pro Hindu Sanatani Sikhs, it still had some force and sanctity. Finally after 108 years, the hukamnama against Prof. Gurmukh Singh was specifically withdrawn by the World Sikh Convention in 1995. Strictly, a person, a care taker or a custodian, in charge of Akal Takhat was not called Jathedar before 20th century ; the title of Jathedar of Akal Takhat came into being in 1920. On October 13, 1920 Singh Sabha reformers took lower caste Sikhs to Harimandir Sahib and Akal Takhat to pay homage. Priests in charge of Akal Takhat did not like this, but did not have courage to face Sangat. They slipped away leaving the holy place vacant. (4 ) Sangat took over Akal Takhat and appointed Jathedar Teja Singh Bhuchar in charge of Akal Takhat. Since he was leading the jatha to Akal Takhat, he came to be known as Jathedar Akal Takhat. A jatha of 25 Sikhs was put at his command to help him to look after Akal Takhat. On November 15, 1920 Jathedar Teja Singh Bhuchar called a meeting of all Sikh organizations and associations at Akal Takhat . Here Sikhs decided to oust the pro-Government priests from Gurdwaras and formed a committee of 175 members to run their management. This is how Shiromani Gurdwara Parbandhak Committee[S.G.P.C.] came into existence. Next month on December 14, 1920 Shiromani Akali Dal, a political wing of the SGPC was launched. Jathedar Teja Singh Bhuchar was elected secretary of the new Akali Dal. This further added strength to his position and standing in the community. Jathedar Buhchar did not just sit there as a custodian of the place; he provided leadership to the community. He led a jatha to Taran Taran Gurdwara to oust the priests forcefully. He succeeded in his mission after some clashes with the government agents. He appointed a committee of 15 members to look after the Gurdwara management. He also led jathas to take control of Gurdwara Panja Sahib and a Gurdwara in Pashawar. Since such actions were contrary to law, he was arrested and put in jail quite for sometime. Jathedar Teja Singh Akarpuri was appointed Jathedar Akal Takhat in October 1921. These were the turbulent years of Sikh Gurdwara Reform movement. According to Giani Kirpal Singh, he provided a solid leadership to the panth in this critical period. In 1923, he was arrested when he was leading the very first Jatha in the Jaito Morcha .He was kept behind bars till 1926. Next year he was again appointed Jathedar of Akal Takhat for the second time and remained in this position till 1931. In 1925, Jathedar Didar Singh was the Akal Takhat jathedar. Akali leaders had come into agreement with the government and the agitation was withdrawn. Sikhs started coming out of jails, but some in Nabha Jail refused to leave the prison and adopted quite an unreasonable attitude. Jathedar Didar Singh went to Nabha and advised them to come out, "since you have come here at the orders of Akal Takhat, I now in the capacity of Akal Takhat jathedar order you to leave the jails and get out". [5 Kirpal Singh] This had the desired effect and they agreed to obey his order. Such was the position of the Akal Takhat jathedar in the Sikh world. Teja Singh Akarpuri, Jathedar Akal Takhat felt and stressed the need of a prescribed Rahit for the Sikhs, though unsuccessful attempts were made earlier by Panch Khalsa Diwan and Chief Khalsa Diwan. It was on his suggestion that a committee of 28 Sikh scholars was appointed to work on the draft of Sikh Rahit Maryada on 15 March 1927. The committee with Prof. Teja Singh as its convenor prepared a draft which was thoroughly discussed, amended and changed according to the wishes of the members at various meetings of the committee. All meetings were held at Akal Takhat. In all meetings Jathedar of Akal Takhat was present. Even Jathedars of Kesgarh and Patna were also invited. From 1931 to 1934 Gurmukh Singh Musafir, Jathedar of Akal Takhat, attended the meetings and then from 1935 till the SRM was finally passed in 1945, Mohan Singh Nagoke, Jathedar Akal Takhat, played a very important role. He also served as President of SGPC from 1944 to 1948 which put him in much better position to bring the Sikh scholars to an agreement on SRM. Jathedar Mohan Singh Nagoke was widely respected for his character, integrity and sacrifices. He served as the Jathedar Akal Takhat for 17 years(1935-52), maximum time any Jathedar held this office. His personality added much power and prestige to this august office. Many historic decisions were taken in his time. In 1936 when Govt. banned the wearing of Kirpan by Sikhs, Jathedar Mohan Singh led the first jatha of 100 Sikhs in this morcha against the ban. The ban was withdrawn by the govt. In 1945 Mohan Singh called a meeting of Sikh religious leaders and scholars at Akal Takhat to resolve the issue. The anti-Ragmala group carried their point with his support. But to keep unity in the panth, Jathedar issued instructions that reading of Ragmala was optional, though he stopped its reading at Akal Takhat. This practice is still in force. Baba Gurbachan Singh Bhinderanwala was staunch supporter of Ragmala. SGPC sent Giani Lal Singh to Sant Bhinderawala to find out if he would abide by the decree of Akal Takhat Jathedar. Baba Gurbachan Singh gave in writing that he would honor the decree of Akal Takhat. During Mohan Singh'time as Jathedar, Ardas was amended to include that Sikhs should have unhindered access to Nankana Sahib and other holy shrines which were left in Pakistan after partition of Punjab in 1947. Master Tara Singh was the most powerful and well recognized leader of the Sikhs in mid-twentieth century. He was president of SGPC when Akal Takhat Jathedar Achhar Singh punished him for breaking his fast without achieving anything after taking a solemn pledge in 1961. Such was the position of the Jathedar in Sikh world. Then there is the historic edict of the Akal Takhat Jathedar, Sadhu Singh Bhaura, against the Sant Nirankaris in June 1978. Nirankaris had killed 13 Sikhs on the Baisakhi day of 1978. This edict was widely welcomed by Sikhs all over the world. Some Jathedars were members or office bears of SGPC and Akali Dal at the same time. They blessed and participated in all agitations that were always launched from Akal Takhat. Sometime they led the jathas and courted arrests. Akal Takhat Jathedars became controversial after the turbulent developments of 1984. So many Jathedars - Jasbir Singh Rode, Ragi Darshan Singh, acting Jathedar Manjit Singh, Bhai Ranjit Singh, Giani Puran Singh- were appointed and removed before Jathedar Vedanti was shown the door. This affected the credibility and prestige of the Jathedar. His edicts were not taken seriously. One such edict excommunicating Spokesman Editor, Joginder Singh was challenged in high court. One Jathedar would issue an edict, his successor would cancel that. That, however, does not mean that the institution of Akal Takhat Jathedar is beyond repair and redemption. Sikhs need a strong central authority to resolve so many contentious issues that keep dogging and dividing the community. There should be a procedure to elect a non-partisan person as Jathedar of Akal Takhat. He should be a man of high integrity and character, deeply knowledgeable about Sikh religion, history and its traditions and could not be easily removed from his position. He should be able to communicate in English. All India Gurdwara Act as demanded by Akalis should have such provisions.